Sun Noodle Hawaii's Original Saimin. There is only one place I know of that carries Hawaii's Original Saimin in the Seattle area. It's hard to find, but totally worth the effort. 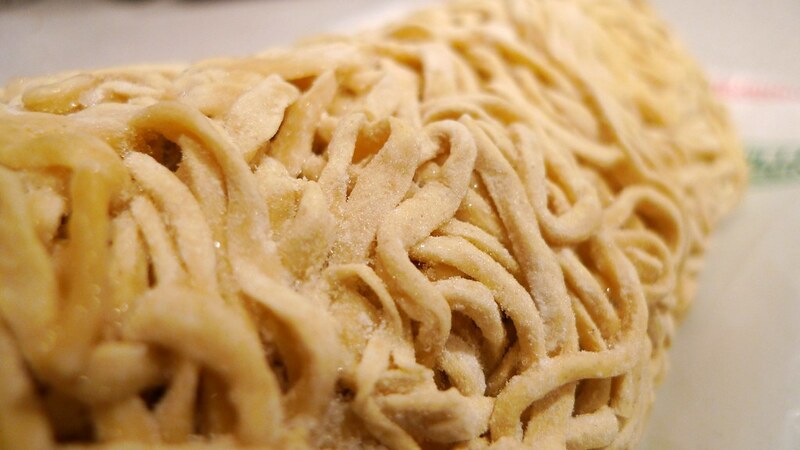 You will only find this packaged noodle in the frozen or refrigerated area, and that's not if they're already sold out. Sun Noodle's saimin is the only one that I've tried and really, really liked so far. Continue reading to find out why. 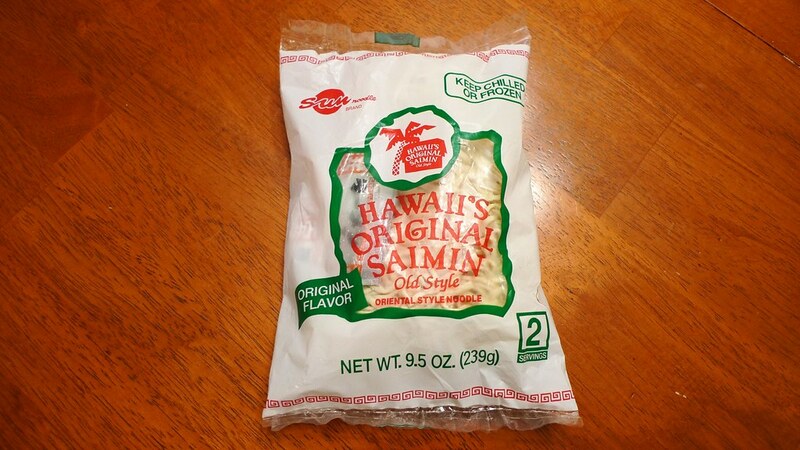 The contents of Hawaii's Original Saimin. Saimin is a noodle soup dish unique to Hawaii. In fact, it's so popular there that you will even find it on the menu at McDonald's. 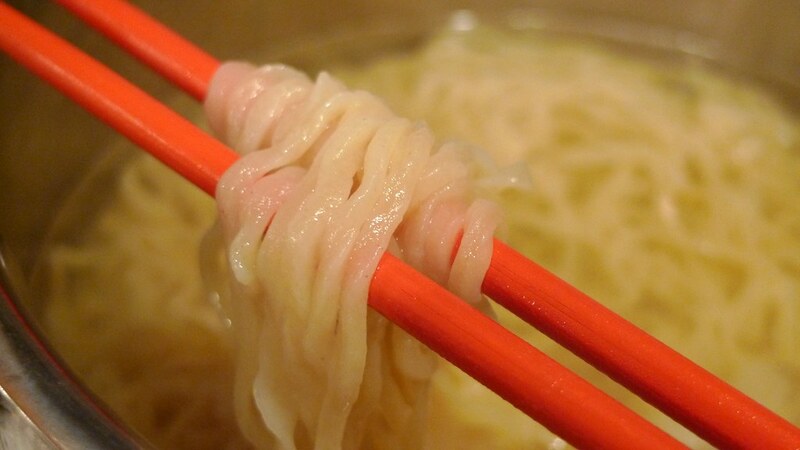 Inspired by Japanese udon, Chinese mein, and Filipino pancit, saimin was developed during Hawaii's plantation era. It also includes elements of Korean, Hawaiian, and Portuguese cultures. Saimin is a compound of two Chinese words 細麵: 細 (pinyin: xì, Cantonese: sai), meaning thin, and 麵 (miàn, mein), meaning noodle. 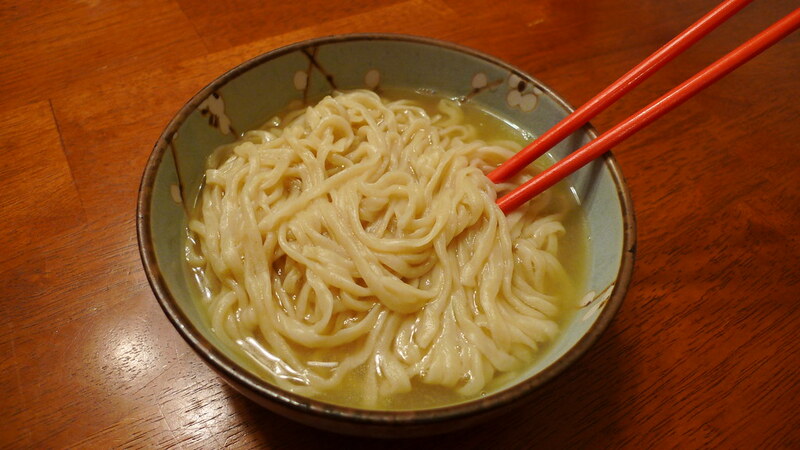 Basically, it is a soup dish of soft wheat egg noodles served in hot dashi and typically garnished with green onions. 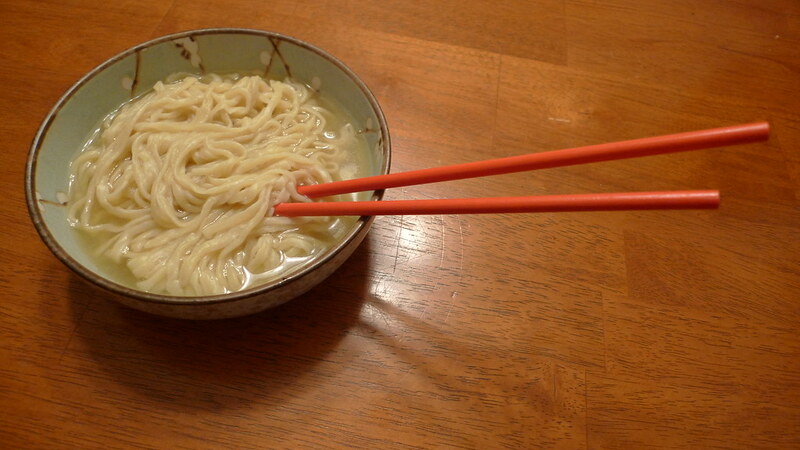 Hawaii's Original Saimin is made in Honolulu, Hawaii. It comes two servings per package, so there are two packages of soup mix inside. You can only cook half of it if you want one meal, but I always do the whole thing because I figure I'll want seconds. Had the saimin in the freezer, so it's just one big pile of hard noodles. I have not noticed a difference between cooking them after they've been refrigerated and cooking them after they've been frozen. 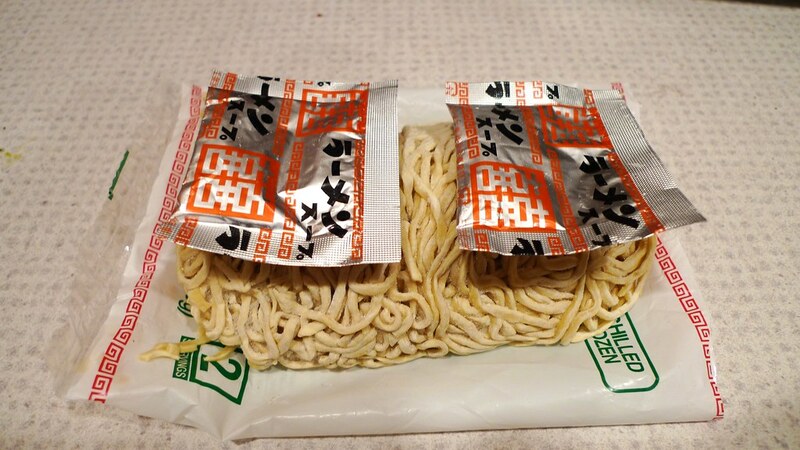 When you take the noodles out of the package, the first thing you'll notice is that they are covered in flour. I don't know if this preserves or enhances the texture of the noodles, but there is no doubt that you are indeed getting fresh noodles. Most other saimin I've seen, or even simply other refrigerated/frozen fresh noodles, are not dusted with flour. The noodles get a bit plumper when you boil them. 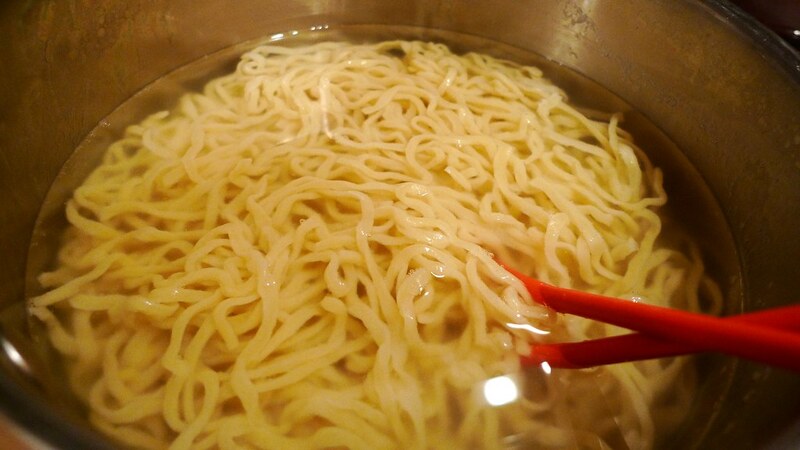 You actually strain the noodles after they are done cooking. I think the biggest reason for this is all the little noodle debris you get in the water. You'll see. The broth is actually cooked separately. 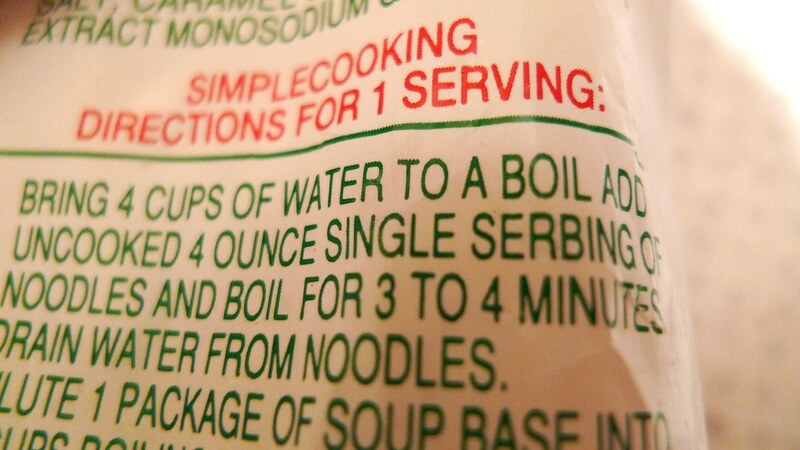 In fact, the instructions do not want you to cook the noodles and soup together. They are simply added together in a bowl at the end. I love Hawaii's Original Saimin. 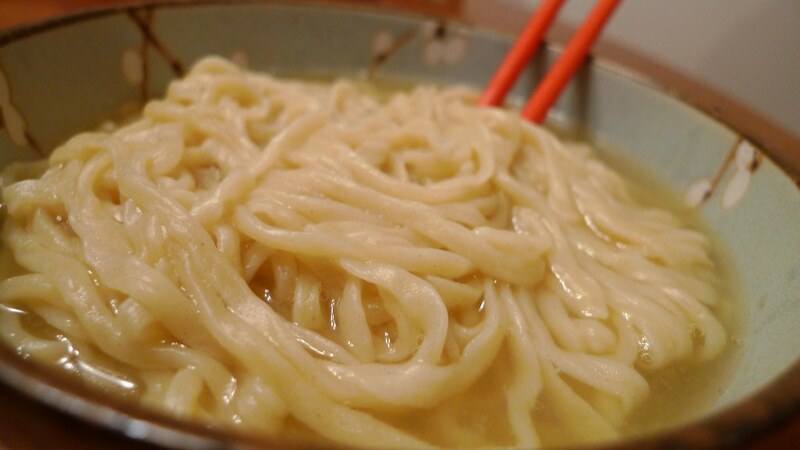 The noodles have the perfect chew and a slight egg taste. The broth could be better as it doesn't have a strong dashi flavor, but adding some salty meats like ham, chicken, or Hawaii's favorite Spam could improve it. After taking pictures and having a couple bites, I added some ham to my saimin and found it quite pleasurable. 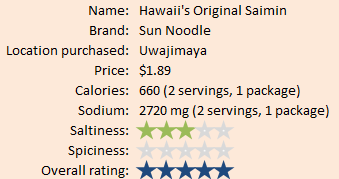 Juliana was absolutely crazy about Hawaii's Original Saimin. I think she has had it before, but only once when she was younger. 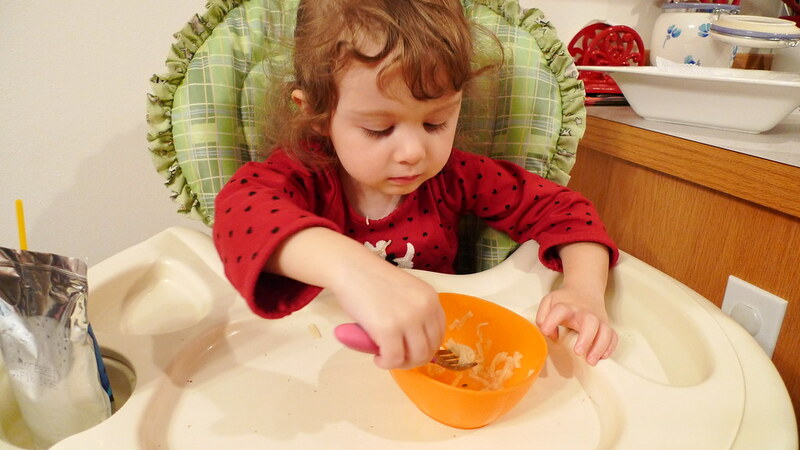 She liked them so much this time that she asked for more, and that was after she already had an abundant serving. 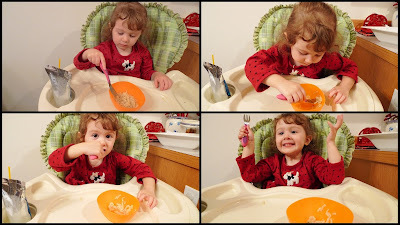 This is not something she does often, so it kind of goes to show how great this saimin really is. 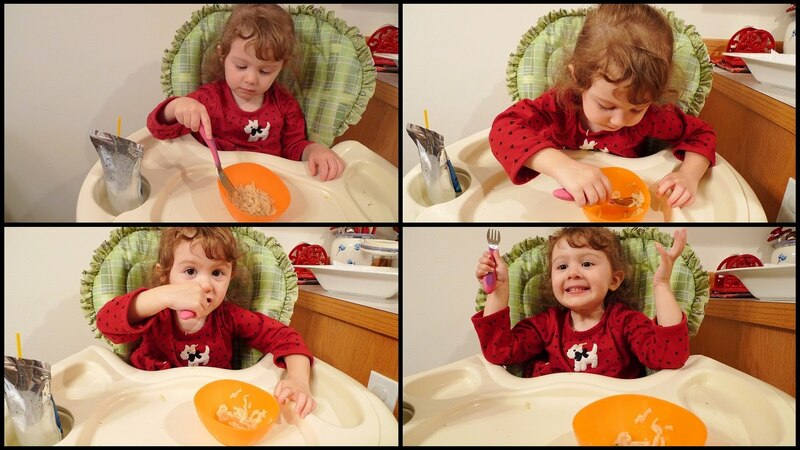 Easily a five-star noodle in my book. Find it, eat it, love it.